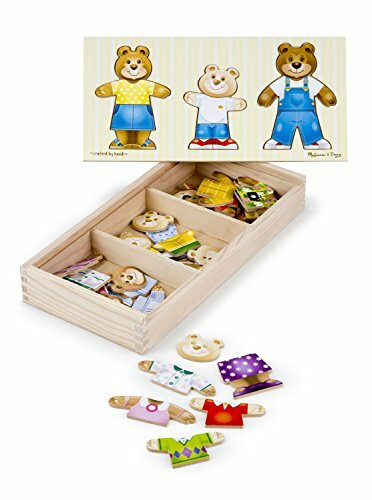 This wooden set contains 45 mix-and-match pieces to assemble Mama, Papa and Baby Bear. It’s fun to change their expressions and their clothing to express their every mood. The wooden box has compartments for easy storage and the box lid conveniently serves as a puzzle board. 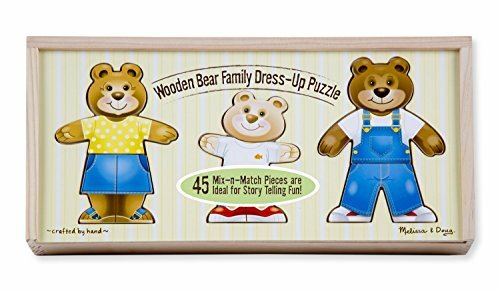 Great for story telling fun!Contains 45 mix-and-match pieces to assemble Mama, Papa and Baby Bear. Wooden box has compartments for easy storage.